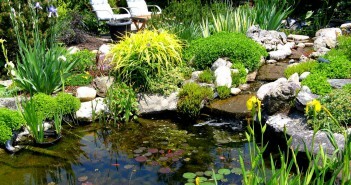 You are at:Home»Posts Tagged "pond-plants"
A pond, small or large, looks prettiest when it’s flanked with plants, and wildlife prefers them. A pond needs three kinds. See our plant lists.